Communication is one of the keys to success, and that’s why we’ve invested in creating many ways for teachers, students, and parents to communicate with one another. Making music-practice fun doesn’t come on its own, and sometimes requires the assistance of rewards, stickers, and a community to encourage one another. That’s why we’ve invested our time in bringing a practice experience with unique stickers, a cool rewards system, and groups for teachers and students to talk with another for encouragement and share their accomplishments. 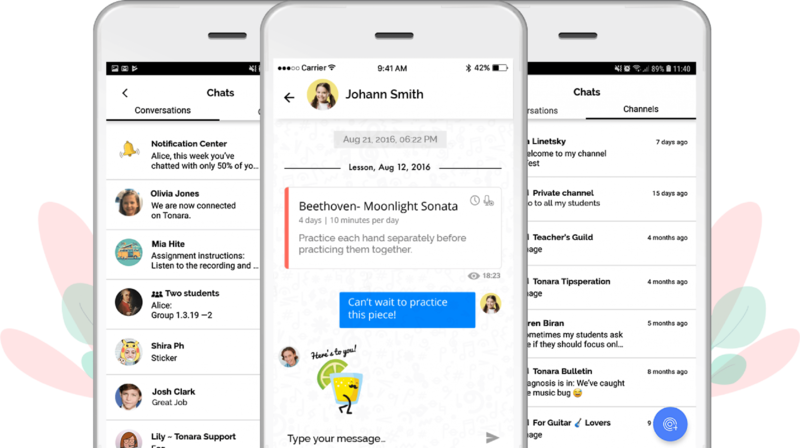 The messaging module consists of one-to-one messaging (teacher-student, teacher-parent), group chats, and channels. Giving students and teachers the ability to communicate in-between lessons helps students better understand what they need to work on and gives teachers the confidence that their students are truly practicing at home. 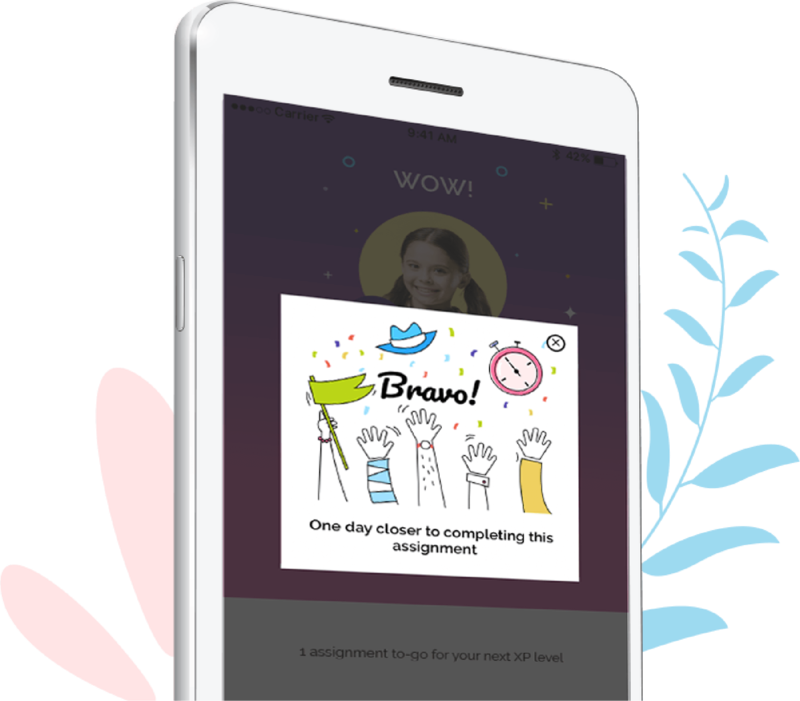 One-on-one messaging connects teachers and students, helping the student to find support, encouragement, and of course, share their accomplishments with their teacher right inside their private chat. Group messaging is mostly used by teachers with studios or music schools enabling them to communicate with their entire studio on assignments to work on, motivation, also enabling students to engage with their peers and ideas, opinion and progress with one another. Channels, on the other hand, are a one-way type of communication used by teachers sending guidance to their students without the students being able to respond back. Music students benefit from the support and encouragement they receive from their teachers and parents. When receiving support from their teachers, students feel empowered and motivated to continue in their practice and continue progressing to the next stages of their practice. Teachers always stay updated with how the students are progressing and are able to adjust their support whether it be to encourage them of being on the right path or guidance and adjustments. Rewards is a great way for teachers to encourage their students to practice in-between lessons. They serve as a way to show support and encouragement. For students, practicing their instruments at home isn’t always the most entertaining thing to do. So, to combat that we’ve introduced rewards that make practicing more fun and engaging with a gamification side. The more students practice the more they are able to reach higher XP levels, earn points, and climb the teacher’s studio leaderboard. As they reach higher XP levels, they unlock more stickers that they are able to share with one another, and of course with their teachers. The stickers are a great way to communicate between students and teachers. Creating music is also about creating a community, and communication is the foundation for that.